There are many specialist print and online resources for Geography in Cambridge. These pages give you an overview of the resources and research support that libraries can offer. The Geography Department Library supports the teaching of the Geographical Tripos and MPhil courses in the department. 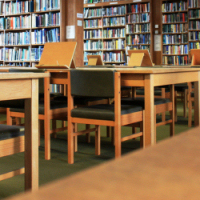 Over 26,000 titles are currently held, including 23,500 monographs, 2,000 offprints and 300 series (working papers from geography departments of other universities). There is also a collection of rare books, the Clark Collection, which was bequethed to the university in 1910 by John Willis Clark (link below), former registrary of the University and Secretary of the Cambridge Antiquarian Society. These are mostly 18th and 19th centurt travel books and are available on request. They may only be consulted in the library under the supervision of a member of staff. All titles held in the library have been added to the University Library's online Newton catalogue (link below). Most journal consultations are electronic and members of the department can access thousands of journals through the University Library (link below). There are also a wide range of other electronic resources available (link below). How to recommend books and other resources that you think will be useful. (Please note that this is for academic and research staff only. Recommendations from students must be signed by a member of the academic staff and submitted in person to library staff). The Geography Department Library holds first class Tripos dissertations for four years. Details can be found on the Newton catalogue with a 'keyword anywhere' search using the words 'Tripos' and 'Dissertation'. These are available for consultation only on request from library staff and may not be photocopied. The library also holds some Placement Reports from the Conservation Leadership MPhil course. These are also available on request.